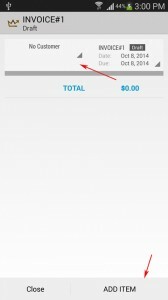 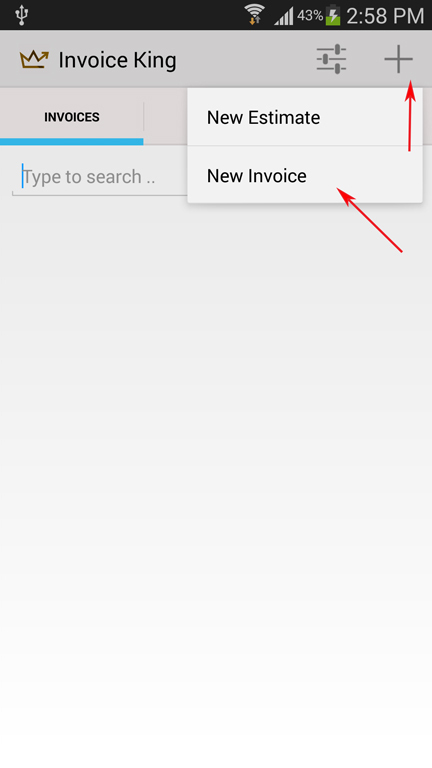 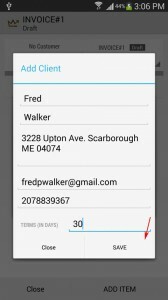 (1) From Home screen, click on the + icon > Then choose Invoice. 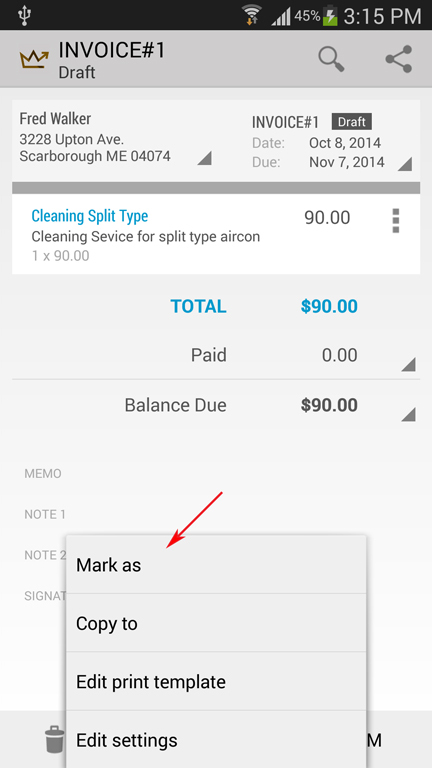 (2) Then it will display the template of the invoice. 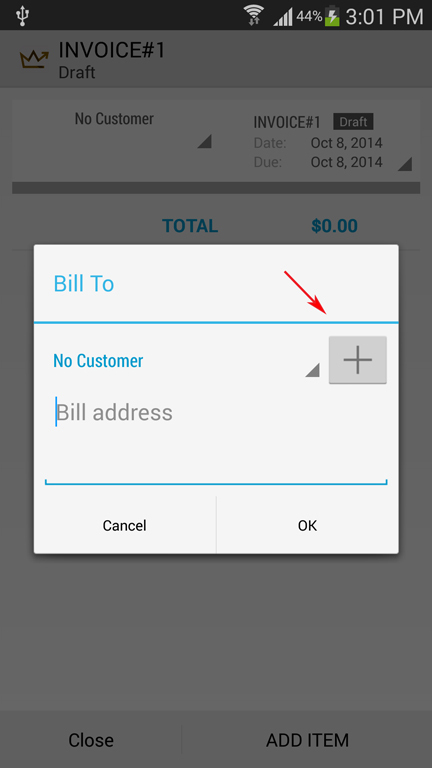 – Click on the Customer section to update Customer’s name and address. 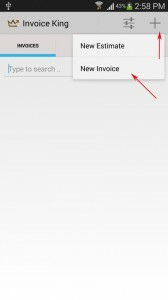 – Click on the ADD ITEM button to add line items to your invoice. 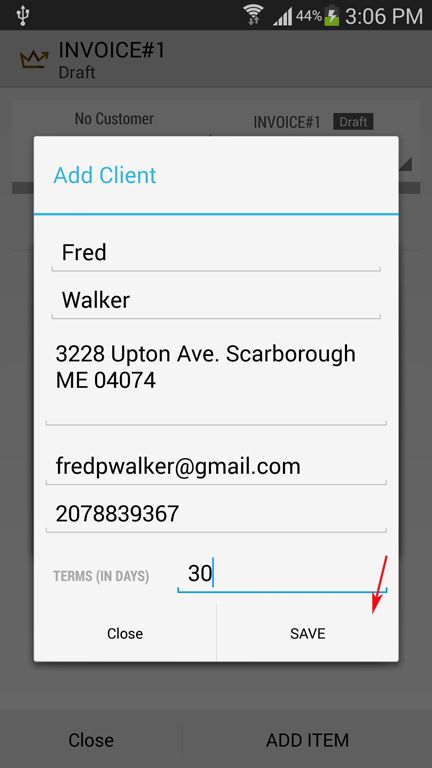 (4) Then enter the customer details > Click on Save. 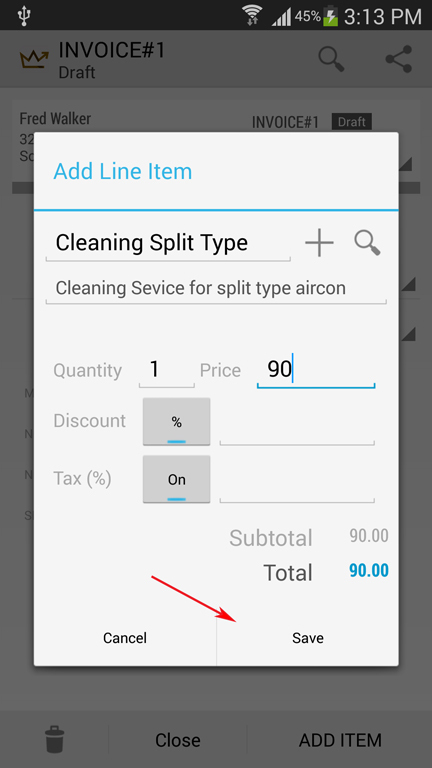 (5) Then to add a line item, click on the ADD ITEM button > Then enter the name, description and price of the line item > Then click on Save button. 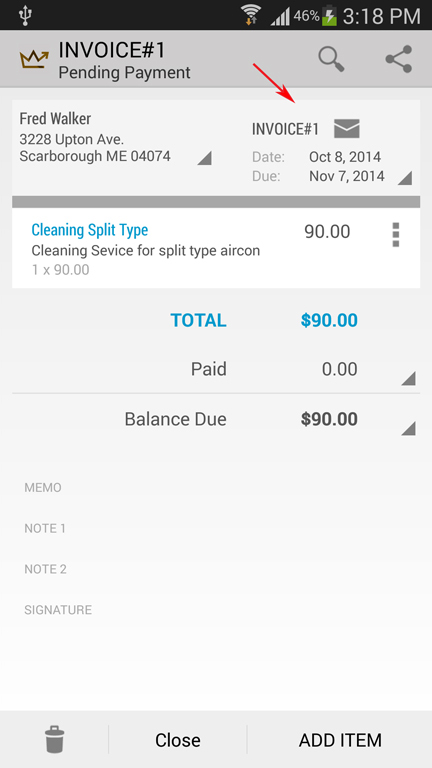 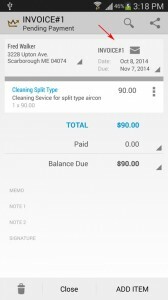 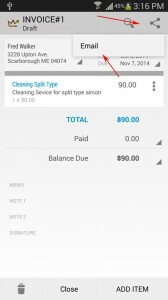 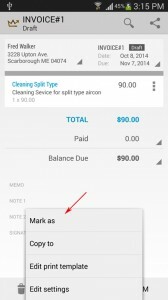 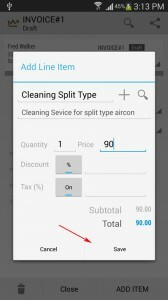 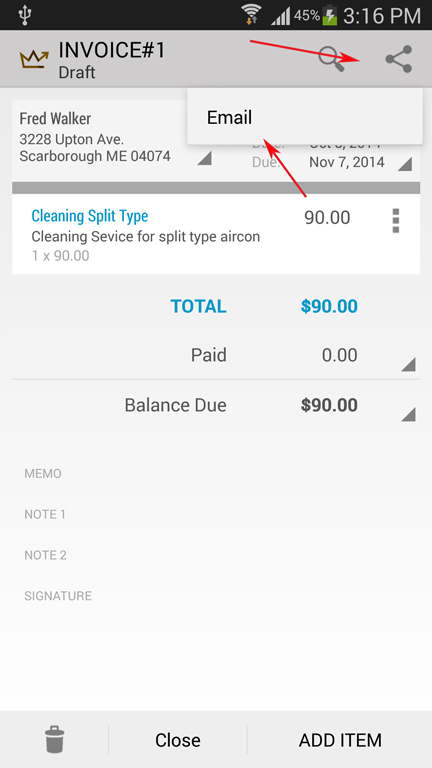 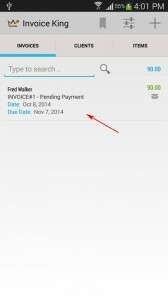 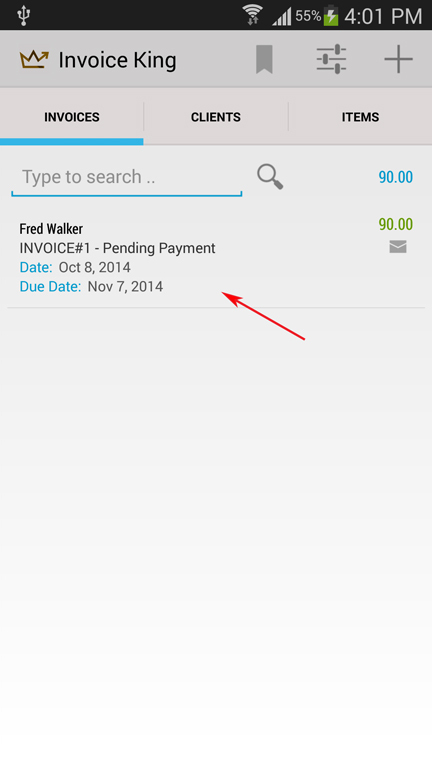 (6) Repeat step 5 until all line items are added to your invoice. 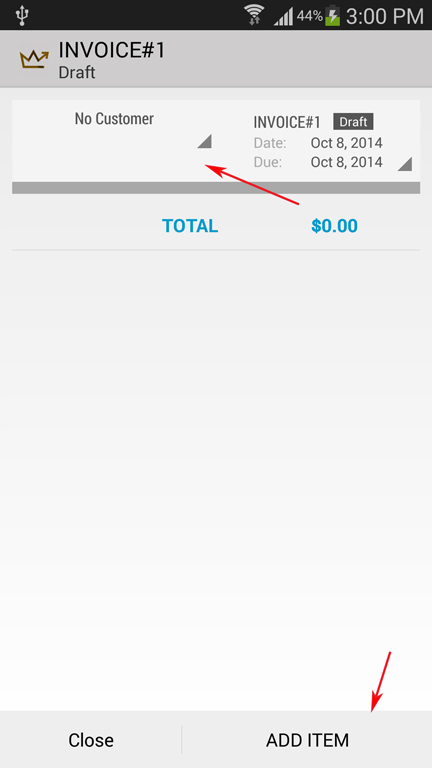 (b) Or click on the share icon > then click on Email.